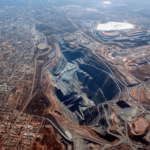 Newmont Mining expects to produce 1.5 million ounces of gold in Australia in 2019 due to lower mining rates at the Super Pit and continued stripping at Boddington in Western Australia. This is offset by Tanami’s higher grades and throughput in the Northern Territory, where studies for a second expansion is under way. Newmont anticipates a funding decision for Tanami in the second half of 2019. Newmont said optimisation work at the Super Pit in Kalgoorlie also continued to recover the impacted ounces from May’s rock falls. The Super Pit suffered from two significant rock slides in its eastern wall earlier this year. 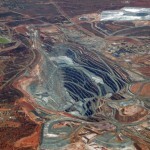 The Kalgoorlie Consolidated Gold Mines (KCGM)-operated mine – a joint venture between Newmont and Barrick Gold – is still undergoing studies to remediate the mine. The operation will, however, be expanded for the first time in nearly a decade, with first production blast taking place at the new Morrison layback area last month. 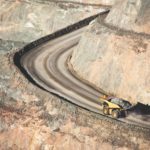 Newmont’s gold production is also expected to reach 1.6 million ounces in 2021 as Boddington accesses higher grade ore.
Newmont’s 2019 gold production guidance across the board is forecast at 5.2 million ounces, which is a mid-point of last year’s guidance range of 4.9 and 5.4 million ounces. 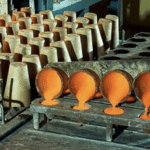 The company foresees a fall in its gold output in the subsequent years, with 4.9 million ounces in 2020, and between 4.4 and 4.9 million ounces per year through to 2023, excluding other development projects which are yet to be approved. Gold costs are also expected to increase across Newmont’s Australian operations in 2019, driven by the continued stripping at Boddington and the drawdown of lower grade stockpiles at KCGM. The completion of Tanami’s power project and its switch to natural gas is foreseen to ease these costs, as its power costs will be slashed by around 20 per cent in the first quarter of 2019.